Cook orzo according to package directions. Toss with enough olive oil to lightly coat orzo. Heat olive oil over medium-low to medium heat in a large sauté pan. Brown prosciutto. Add onion and when almost caramelized add garlic and cook until soft. Add Swiss chard and cook until tender. 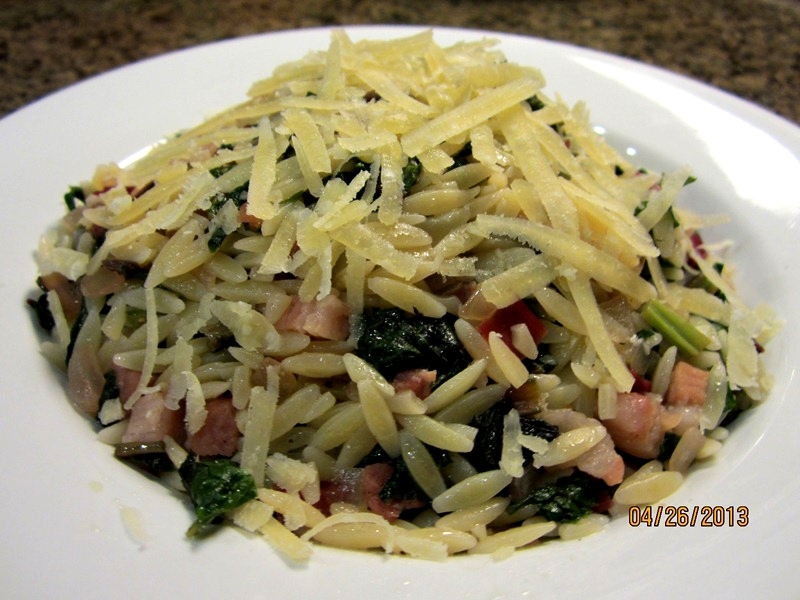 Add orzo, stir and heat until warm. Sprinkle Parmesan and enjoy.